REGISTER ONLINE using the forms below. No payment is required to submit your information online. PURCHASE CLASSES in the studio before your class, over the phone or online. You do not need to sign up for a class in advance - just show up 15 minutes early on your first visit. There is a one-time $25 new member fee - but we promise it's worth it. *MUST BE COMPLETED BY PARENT/LEGAL GUARDIAN IF STUDENT IS UNDER 18. A SIGNED FORM MUST BE RECEIVED BEFORE A STUDENT CAN TAKE CLASS. 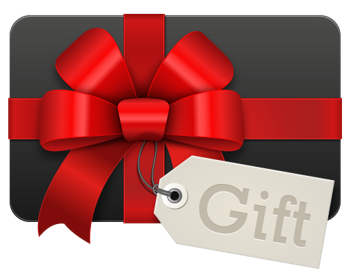 Gift cards can be purchased online or in-person at the studio. If you’d prefer a physical gift card, stop in any time during normal business hours! Purchase a gift card online for that dancer in your life. They will love it. We promise.